From the base area at White Pass, you can see the acreage covered by snowmaking at right and brown patches where the snow guns can't reach. It's been a tough winter so far for many Cascade Mountains ski resorts. Five in Oregon and Washington have suspended operations until they get more snow. Workers at the Summit at Snoqualmie are even gathering snow from parking lots and building edges and moving it uphill to keep a few runs open. Nationally, the Pacific Northwest stands out for its low reliance on snowmaking, but that may change. At the White Pass Ski Area west of Yakima, general manager Kevin McCarthy said he's tempted to "hug" the snowmaking machines each time he skis by them. His system is relatively small, but he called the snow guns a "lifesaver" this year. "I question whether we would have been open much before December 27 this year,” McCarthy said. Snowmaking at Heavenly Resort near Lake Tahoe, California. A snow gun looks like a stubby cannon with a big fan on the back. It blows mist out the front that turns to snow before it lands. For this to work around here, temperatures need to be in the mid-20s or lower. On the lower slopes beyond the reach of the snow guns, skiers have to navigate around ice sheets, rocks and brown patches. The snowpack here is about 25 percent of normal. Sadly, that's a common predicament up and down the West Coast this winter. For some resorts, it's the second or third tough year in a row. McCarthy bets this will prompt some rethinking about reliance on natural snowfall. Snowmaking systems are not new in the ski industry. Ski resorts have relied on snowmaking for decades back East, in the Midwest, Rockies and California. The Northwest has the most holdouts according to Joe VanderKelen. He runs one of the country's biggest equipment suppliers, SMI Snowmakers. "A lot of folks that said, 'Hey Joe, you're a nice guy, but jeez, we'll never have snowmaking at our mountain because you know we actually have too much snow' are now circling back,” VanderKelen said. “The bull wheel on the chairlift is circling back." VanderKelen said customers may spend as little as $50,000 for a single snow gun and pumping station all the way up to $50 million to bring snow to an international resort such as Whistler in British Columbia. And the expenses are ongoing. 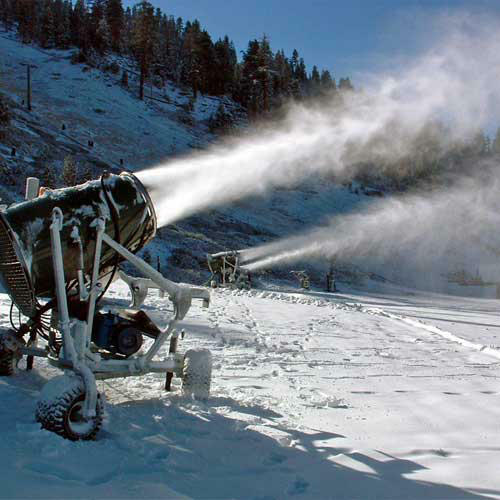 Ski industry consultant Dave Belin of RRC Associates in Boulder, Colorado, noted water supply, energy use and labor all add up to make snowmaking a costly proposition. "It really comes down to: can you operate without it," Belin said. "Most ski areas have decided they need it to maintain their operations from the beginning of the season all the way through to the end of the season." Then there's water, and where to get it. In southern Oregon, Mount Ashland Ski Area's manager said the lack of a water source rules out snowmaking to augment the snowpack at his oft-closed slopes. In the Northwest, I think snowmaking is a little bit a dirty word. But I think as we go through seasons like the last two we've had, that is beginning to change. "In the Northwest, I think snowmaking is a little bit a dirty word,” he said. “But I think as we go through seasons like the last two we've had, that is beginning to change." Given the chance, Wax said he explains to skeptics that they wouldn't be sliding now if it weren't for the manmade snow. "With modern day snowmaking equipment, we can make snow of varying qualities from fine dry powder to denser snow resembling naturally settled snow," he said. On the slopes at White Pass, I asked skiers Charla Summit and Connie Wilkinson for their reviews of the manmade snow. They were skiing groomed runs. "I haven't noticed a big difference, no,” Summit said. Snowmaking machines aren't a cure all. The snow guns are shut down right now because it's too warm for them to work at White Pass, Snoqualmie and Mission Ridge. 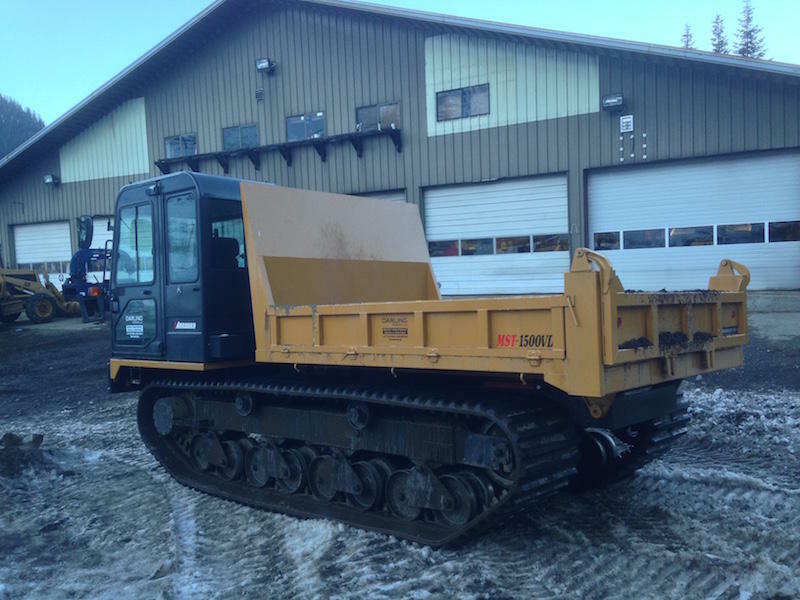 Groomers at the Summit at Snoqualmie are using this over-snow dump truck to mine snowbanks around the parking lots and lodges and haul the precious flakes uphill to fill holes and creeks on the slopes. Gifford said he was not aware of any significant pending expansions of snowmaking that his member resorts might be ready to announce. "After last year and this year, it is definitely a topic of discussion," Summit at Snoqualmie spokesman Guy Lawrence said. "We would love to have more snowmaking." Lawrence said the starting point would be building a pond or reservoir at the top of the hill. He explained that at this time, the ski area east of Seattle does not have water rights beyond its potable water connections. Lawrence said the Summit at Snoqualmie currently owns a decidedly modest snowmaking system comprised of six snow guns, only four of which can operate at one time because of limited water pumping capacity.